Becoming a member of your local residents' association is a way to turn one voice into many and help protect and shape the place you live in, the places you love - this one has been doing so since 1902. Why and when was the Newport Residents Association formed? The Newport Residents Association Incorporated is an organisation of residents and/or ratepayers of the original Pittwater Council area whose concerns are the welfare and advancement of that area, in general and Newport in particular. One of our members has found evidence that the Newport Progress Association was actually operating at the turn of the century. The Newport Residents Association was originally established as the Newport Progress Association in 1923 and in 2004 it became an incorporated association changing its name at that time to better reflect its aims and objectives. The State Government abolished Pittwater Council (despite 89% of surveyed residents saying no) in 2017 in an amalgamation with Manly & Warringah councils to form a new large council called the Northern Beaches Council. Despite this forced amalgamation the area of concern for the association remains almost the same covering the new Pittwater Ward (From Mona Vale to Palm Beach). What activities does the Newport Residents Association engage in? To provide a forum for all interested residents, ratepayers and resident groups in the Pittwater Ward area and particularly in the Newport area. To represent the interests of ratepayers and residents on local issues at all levels of government but particularly at the local government level. To work for responsible planning, environmental protection and the enhancement of the environment of the Northern Beaches Council and in particular the Pittwater Ward area. To achieve community awareness and involvement in Council’s decision-making processes and planning. To take any other action not elsewhere included to further the interests of the Newport Residents Association Incorporated and its members. The 3rd Tuesday of each month at 7.00 pm at the Newport Community Centre (The Boulevarde Newport). Who is on the Committee for the NRA – and what are these roles overseeing? Committee: In 2017/2018 membership year, this comprises Sue Young, Selena Webber and Peter Middleton. With the above-mentioned specific Office Bearers, these Committee members make up an executive committee, which discusses matters introduced to the NRA as well as initiating subjects felt pertinent to the organisation. Members of this Committee, from time to time, will also represent the NRA, as well as leading in analysing and drafting material on specific matters, under the direction of the President and/or Secretary. How can people get involved or become Members (and how much is this)? Membership of the Association is open to residents and/or ratepayers of Newport and adjacent areas and to community organisations considered supportive of the aims and objectives of the Association. Membership cost $20 for a single member or $25 for a family. Do you have social activities as well? Each year, the December meeting is given over to a casual nibbles & drinks event, where members are encouraged to invite other non-members who have an association with Newport and its environs. The NRA also helps promote events originated by its members (e.g. the annual Gretel Park Barbecue, the Newport Sculpture Trail) and other Newport centric events originated by other bodies such as the Council (e.g. Seniors Week), the Newport Chamber of Commerce (e.g. Newport Market Day) and events involving other Pittwater area residents associations. Do you work in conjunction with the Newport Chamber of Commerce and Newport Surf Club on some matters? What is unique about Newport compared to the suburbs surrounding it? 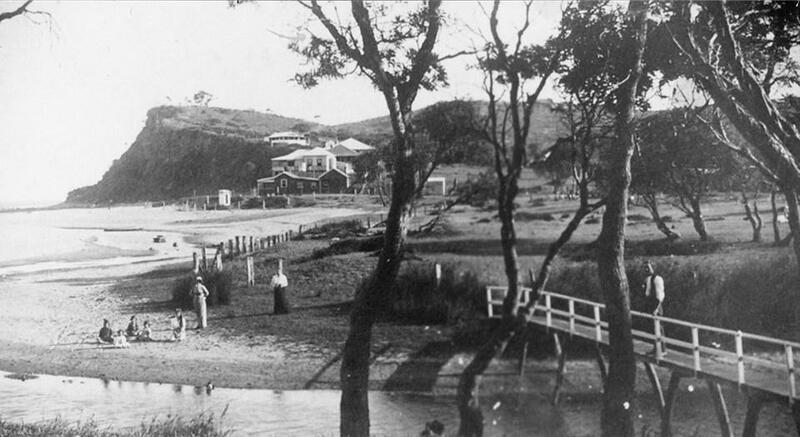 Newport is the only Pittwater village where the beach, the main road and the main shopping strip all coincide. This brings unique appeals as well as unique challenges and responsibilities. Newport has a retail focus both in that main village and also in the smaller aggregation near the Newport hotel, which is on the site of the historic foundation of the suburb of Newport. Our residents comprise people who live by the beach, who live by the Pittwater and all points and terrains in between. 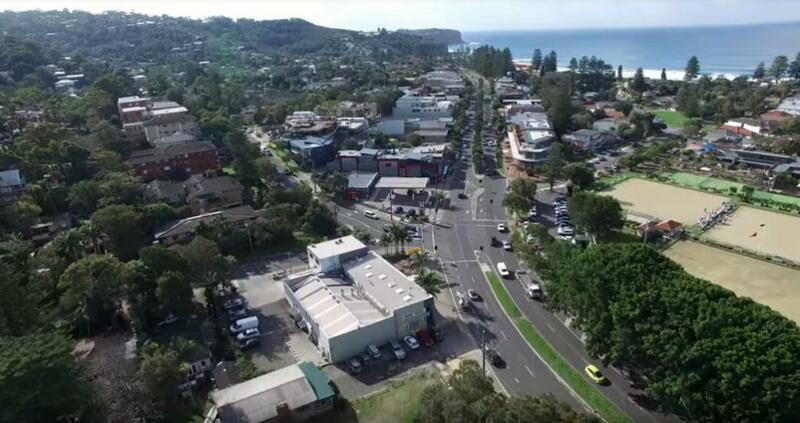 To the south we have the town centre of Mona Vale, which is at the crossroads of the major roads into the Pittwater region, incorporates a light industrial zone and whose beach is at a distance from the town centre. To the north, we have a natural divide of the “Bilgola bends” and then Avalon, where the village is not collocated about the main road. Nevertheless, we share much in common with our neighbours and cooperate with them both directly and via our respective involvement in the consortium known as Pittwater Forever. OUTRIGGER RACE AT NEWPORT, BARRENJOEY, Saturday. At yesterday's meeting of the Warringah Shire Council, a letter was received from the Newport Progress Association requesting that a special Improvement rate of /1 in the £ be levied In Newport. It was also suggested that tenders be called for the construction of a rock-bath at the southern end of Newport Beach. The association stated that local residents would contribute towards the cost of the bath. The Newport Progress Association, which is co-operating with the Warringah Shire Council in effecting local improvements, has raised £262 by a queen competition, which concluded last week. The primary object of competition was to raise the balance of £40 due on the Newport rock swimming pool, which was opened a few months ago. The surplus will be devoted to other improvements in the district. Sand-shifting on a great scale is going on at Newport. 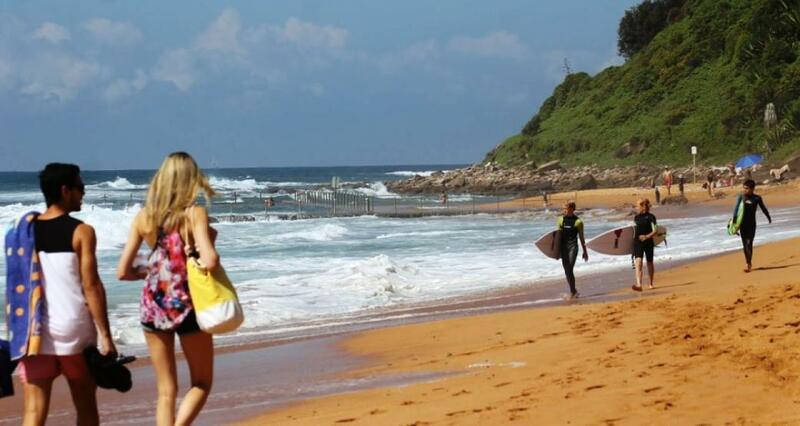 Residents say that it threatens to do lasting damage to one of the finest beaches near Sydney. To fill in a swampy piece of land behind the bench a syndicate requested, and obtained, the permission of the Lands Department to tear a big hole in the Newport beach to get sand. To-day the beach is an eyesore. A blot has been placed oil the natural beauty of Newport. People who patronise the bench are alarmed at the spoiling, and want an Instant stop put to the depredations. Newport is just a nice run by ear from Manly. It has a progress association and a life surf club. It is also a popular resort for thousands who surf on the beach. This beach is to-day being pumped of its sand, drawn from a large area right in front of the main surfing portion. The surf club members are up in arms, for they say that, this work Is likely to create a dangerous channel. There has never been a fatality on Newport Beach, and the Life Saving Club wants this record to remain. "By this vandalism the bench is made dangerous and our members' lives are Imperilled." said the club secretary (Mr. G. Meillon). "Should any member of the public be carried out one of our boys will go to their assistance, no matter what the risk. "This club," he continued, "has patrolled the beach for years, and we do not feel inclined to submit to the creation of greater danger for surfers." The work has, been, going on for a few years— so far an enormous hole has been cut in the beach, and there yet remains a big area of unclaimed land behind the beach requiring sand. "If the sand was taken from the other end of the beach, where there are drifting sand dunes, we would all be satisfied,"said a leading member of the Progress Association. "We are mighty glad to see the lagoon being filled in, but not at the expense of a beautiful beach. Newport Beach, as it now stands, is not a nice sight, and if this sand-shifting is allowed to go on it will soon lose numbers who make it their weekend holiday spot. "The public looks to the Government to protect its playgrounds. The beaches are public property, and despite representations from incensed citizens the work still continues. Those interested now propose to place the matter before the premier. The first start on the work was made two years ago — for over seven months sand has been pumped from the beach. Householders directly in front of the excavations are both incensed and alarmed. Experienced people say that the beach will be made very dangerous by the first big sea that comes along. "Taxpayer's" letter ("Sun,'' Mar. 4), protesting against the proposed resumption of allotments on the Woollcott Estate, Newport, calls for an immediate reply. Warringah Shire Council is acting in this matter following a petition signed by 275 Newport residents for the resumption of the land which is badly needed as a general sports ground, a playing field for school children and a site for a community centre. Newport is a rapidly growing centre, but because of bad planning in the early days it has no adequate recreational area. School children have no playing field apart from the sloping school grounds which are rapidly becoming built upon and school attendance has doubled in the past seven years The land in question, is largely- inferior and a considerable area is swampy, and this is under embargo for building by the Board of Health. The proper draining and reclamation of this area would, in itself, be sufficient reason for the proposed resumption.